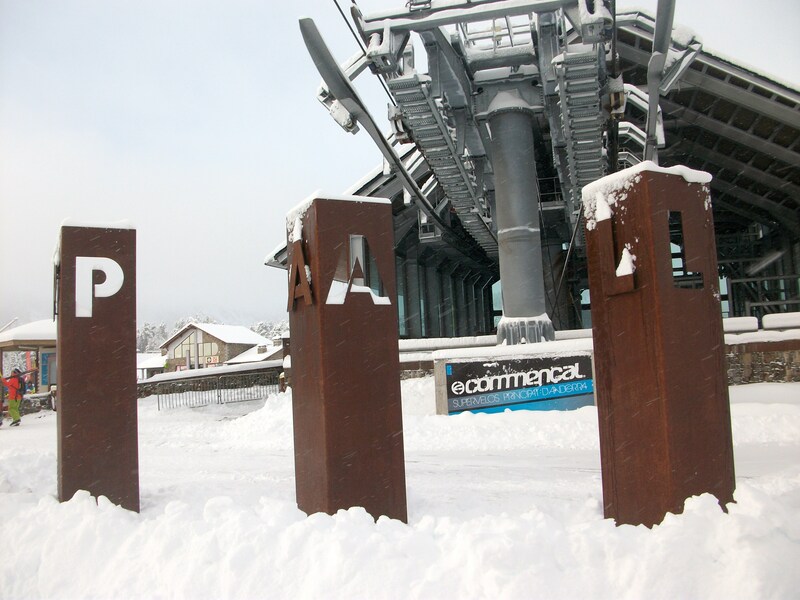 The last time I visited Andorra, about 18 years ago, Arinsal and Pal were two very seperate ski areas. 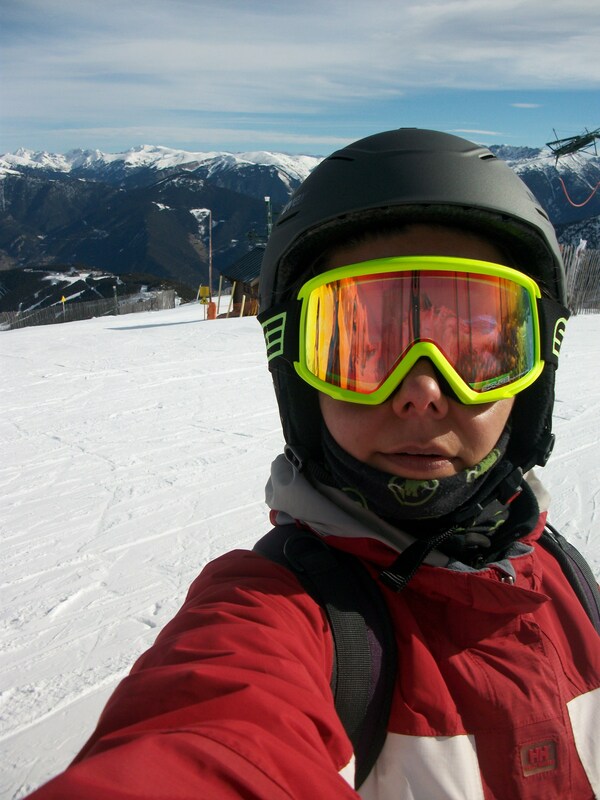 At the time, I was an intermediate skier and what Arinsal had to offer was enough for me so I never visited Pal. 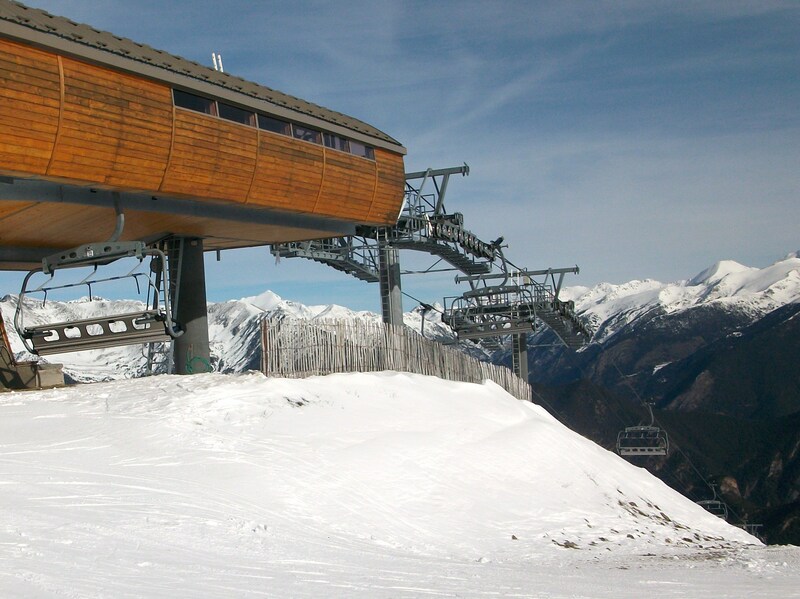 They were in the process of building a new ‘gondola’ to connect the two areas, so I was excited to try it out during my trip in January this year. 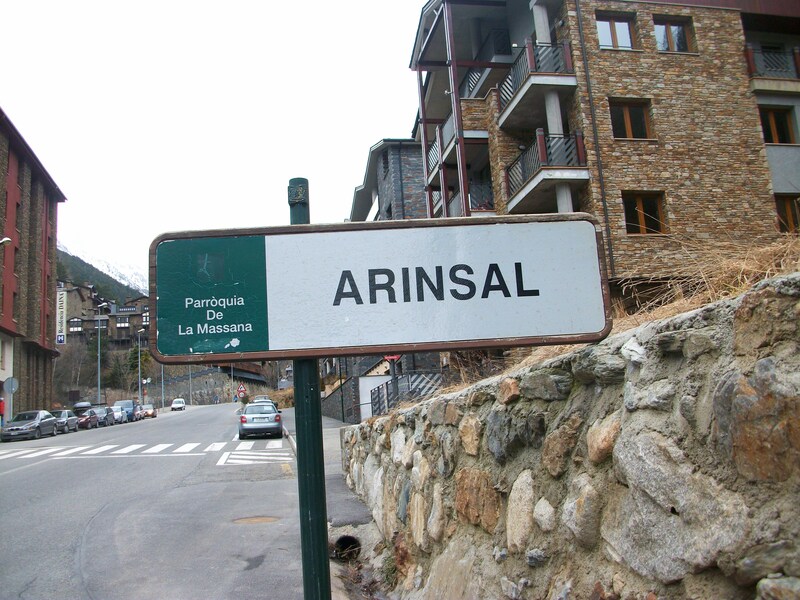 I have to say that the Arinsal ski area is not like I remembered it at all. I thought I had a very clear picture in my head of how it looked, but the reality was quite different. Although a small area, it is lots of fun. And, it all comes down to one base, which helps if you’re skiing in a group with different ability levels like I was. 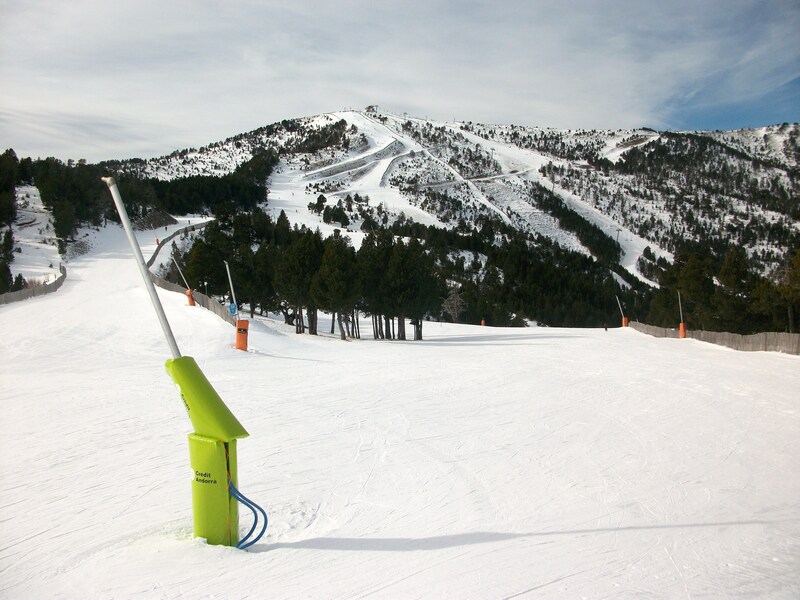 Arinsal is very much a beginners’ resort, with everything geared towards helping them get through their first week of ski school. 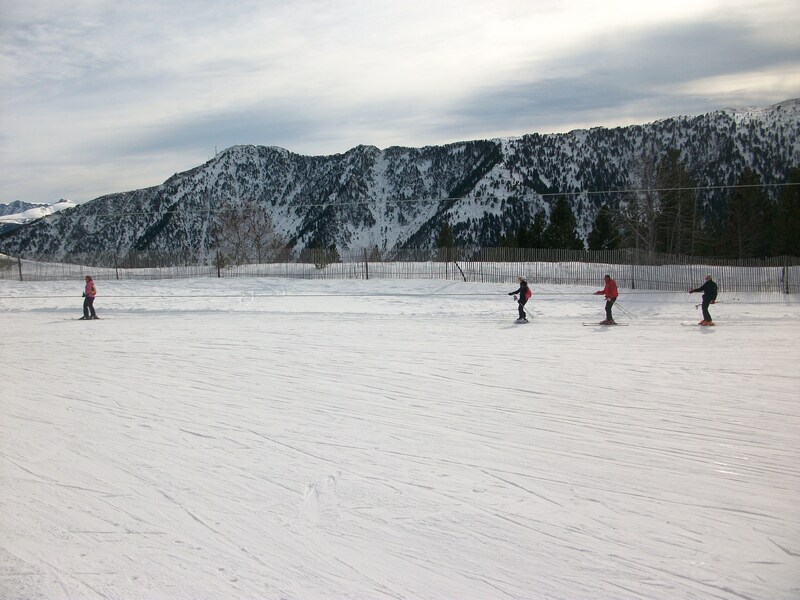 The slopes are managed well in that respect, with beginners having their own (very good) area that is easy to avoid. Unfortunately, high winds closed most of the chair lifts in Arinsal whilst we were there, and I did question why they had replaced the old drag lifts with them in the first place. After all, if beginners learn on drag lifts then they never know any different. On my third day there, when the wind had died down a bit and more lifts were open, I discovered that the new ‘gondola’ connecting Arinsal to Pal is in fact a cable car, and as such is unable to open whenever it is windy, snowing, cloudy or anything other than perfect weather conditions. I think it was open one, maybe two days out of the six that we were there. Instead, in order to ski Pal I had to catch a bus to La Massana (about ten minutes down the road from Arinsal) and then get into a gondola there to access the system. There is a free ski bus to La Massana that runs a couple of times a day, but be aware that it doesn’t seem to run when it snows. This seemed strange to me, after all surely people need the bus service more when there is snow. The local bus seemed to manage better in the adverse conditions, and it was only 1.80 euro to La Massana. 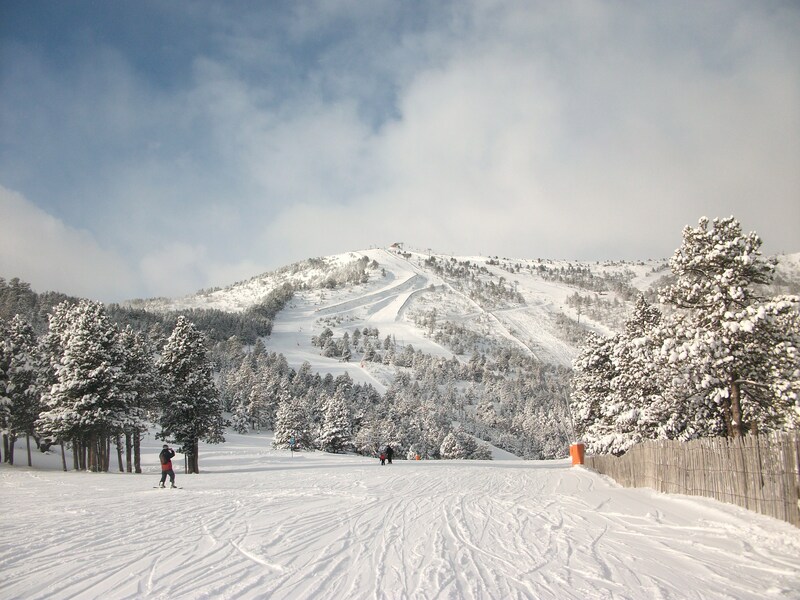 My advice to experienced skiers would be to stay in La Massana instead. 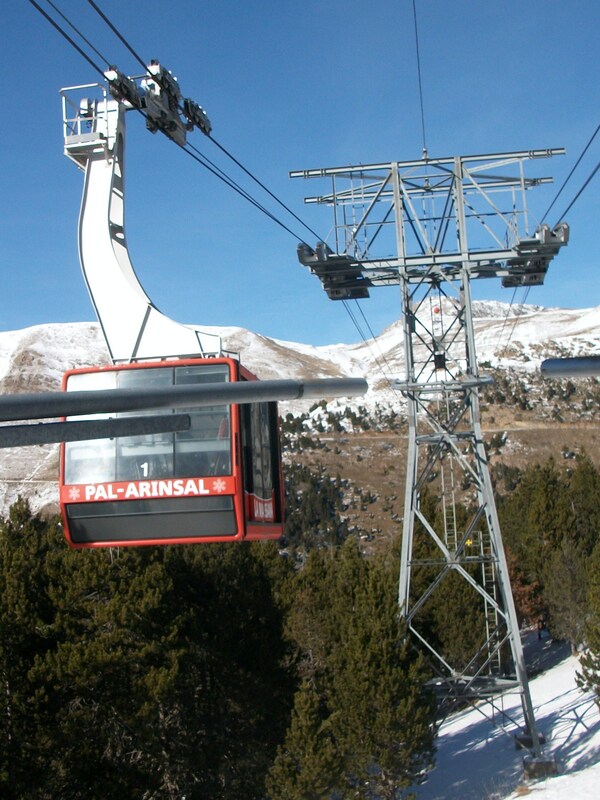 Then, you can always ski Arinsal too when the cable car is open. Pal is much less affected by the weather conditions as it is tree lined, and is also a much bigger area. 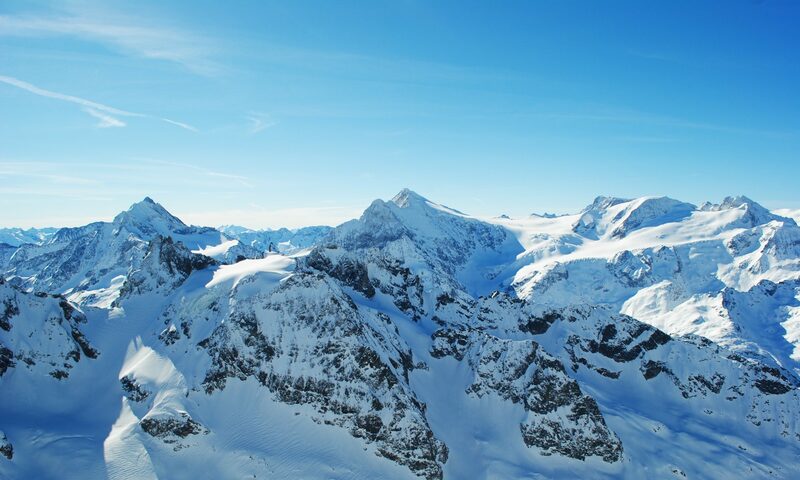 The pistes zigzag across three peaks, so you can even do a little tour. Even on the weekend, when ‘locals’ from Spain travel up to use the slopes, it was very quiet on the mountain. There was a small queue for some of the chair lifts, but I could always find an empty drag lift to use instead.